Aramis Knight is currently starring as the young lead in the AMC martial arts series Into the Badlands opposite Daniel Wu. 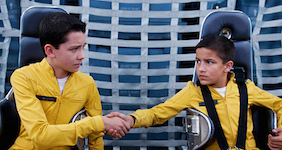 In 2012, Aramis starred as the brilliant and street-wise Bean opposite Asa Butterfield, Harrison Ford, and Sir Ben Kingsley in the sci-fi classic Ender’s Game. 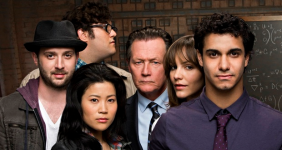 Aramis can be seen as Paco in Scorpion, a series following a network of geniuses that helps solve problems for Homeland Security and the world. 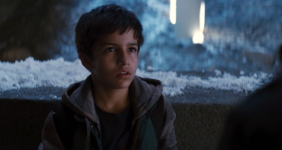 Also in 2012, Aramis made an appearance in the highly-anticipated Batman sequel, The Dark Knight Rises as the young boy with the apple. Aramis Knight was born in Los Angeles, California on October 3, 1999. His ethnic background is German, Eastern Indian and Pakistani. At the very young age of 4, Aramis took a liking to Elvis Presley and would always insist on wearing his leather jacket no matter the weather in Southern California. He has visited Graceland twice, and if asked, to this day, he will say he wants to go to Graceland for vacation.